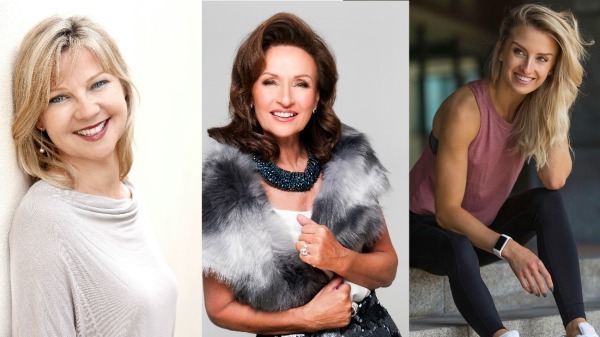 Paula Mee, Celia Holman Lee and Nathalie Lennon will be guests at the event in the INEC on March 28. DAWN Milk and the National Dairy Council are delighted to host a fabulous Ladies Lifestyle Evening at the INEC, Killarney on Thursday March 28. The evening will include advice on shaping up your diet and nutrition with dietitian Paula Mee. Style queen Celia Holman Lee will be revealing all her secrets in a Beauty and Lifestyle Q&A. Celia will also showcase a fabulous style segment with tips on how to style an outfit from head to toe. One of Ireland’s most successful personal trainers and health blogger Nathalie Lennon will also give lots of fitness and wellbeing advice. Tickets are only €10 and all proceeds from the evening will go to two local charities the Donal Walsh Livelife Foundation and the Ian O’Connell Trust. Tickets are available in SuperValu Killarney and SuperValu Tralee or online at www.eventbrite.ie. MC for the evening is Radio Kerry’s Alan Finn. Doors open at 7.30pm and the event will start at 8.00pm. The evening will also include a fantastic raffle with some amazing prizes including the chance to win a VIP Day at the Dawn Milk Ladies Day at the Killarney Races on Thursday, July 18th, 2019 and two tickets to the Spice Girls concert in Croke Park in Dublin this summer. Paula Mee has a dietetic clinic in Blackrock and her own nutrition consultancy. Paula provides an extensive range of services in nutrition, corporate wellness, marketing communications, recipe and menu analysis and product development. Paula has appeared on numerous TV and radio shows and is regularly approached as an expert in diet and nutrition. Paula will highlight the importance of having a healthy, balanced diet and how we can ‘Shape Up our Nutrition’ with easy tips. Over-eating calories relative to our needs is very easy. In some parts of the world, including here in Ireland, over half of the population are collectively overweight, meaning it is no longer the norm to be a normal weight. Paula will sift through the jargon and give the audience practical tips and advice that works. Celia Holman Lee will be a popular speaker on the night revealing all her beauty and lifestyle secrets in an engaging Q&A with MC Alan Finn of Radio Kerry. Celia is business woman, model, stylist, TV presenter and proprietor of the longest running model agency in Ireland the Holman Lee Agency. Celia has won numerous awards for her style and her contribution to the fashion industry. Last year in 2018, Celia was awarded the Most Stylish Ever award at the VIP Style Awards. Nathalie Lennon is an inspiring health and fitness enthusiast with 60k followers on Instagram. Nathalie is passionate about spreading an authentic message based on positive body image, a healthy sustainable lifestyle and establishing optimal mental wellness. As a personal trainer and online coach, she works to help others develop a positive relationship with fitness and food through sharing her story, tips, habits and experiences. Nathalie aims to showcase and help others find balance between extremes, enjoying all that life has to offer, whilst keeping on top of their physical and mental health.